Twenty One Pilots’ track Heavydirtysoul will be included in American Football video game Madden 16, it’s been announced. The latest entry in the long-running sports series will be released on PlayStation 3, PlayStation 4, Xbox 360 and Xbox One on August 25 through Electronic Arts. Other songs of note that have made it into the game include Don Broco’s Automatic and Blackberry Smoke’s Holding All The Roses. Part of the tracklist has been added to Spotify, with further songs to be revealed throughout the coming months. 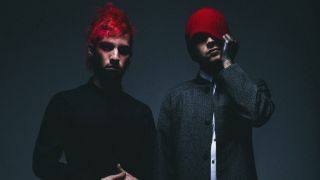 Twenty One Pilots released a video for Lane Boy last month. It’s lifted from the duo’s hit fourth album Blurryface. They’ll head out on a UK tour in November.